Sealers with permanently heated jaws are constructed to seal bags made of plastified aluminum, paper and thicker coextruded plastic films (recommended thickness at least 20 microns). Standard seal is ribbed and is 25 mm wide. Smooth seal and custom made widths can be constructed. Here beside is a photo of model SVL-280 (the narrower sealer) and SVL-350. Information imprinting (e.g. date) can be added on seal as an option. Size of stamping imprints is 8×8 mm big to enable full date imprinting on narrow bags as well. As a standard 7 spaces are available. In this case we recommend the bag to be at least 150 mm wide. We also offer custom made number of spaces when more information is required. 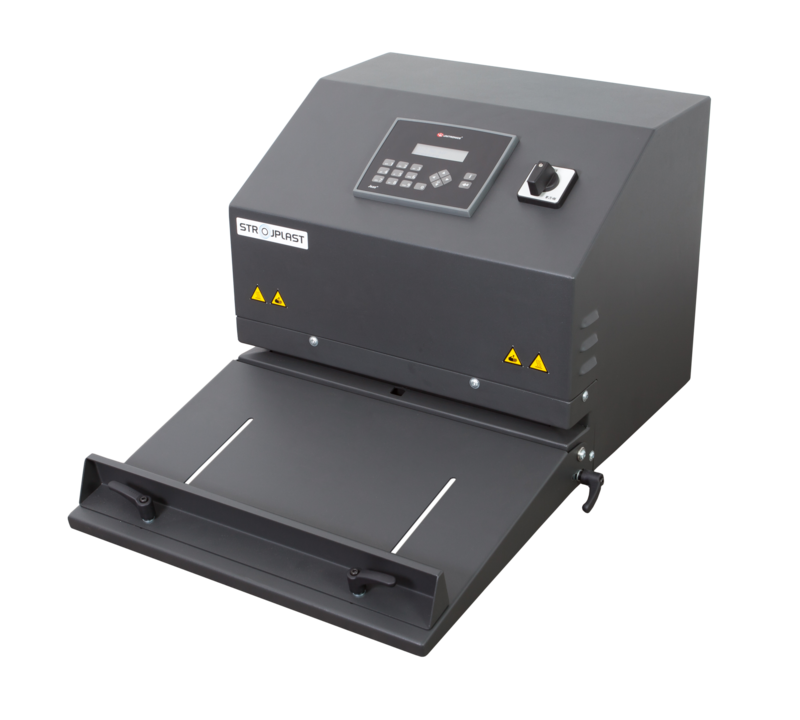 This sealing device detects inserted bag and performs seal automatically so operator's foot is no longer challenged. Automatic sealing activation and time controlled sealing process adapt this model perfectly to operator’s rhythm of work and secure perfect seal. 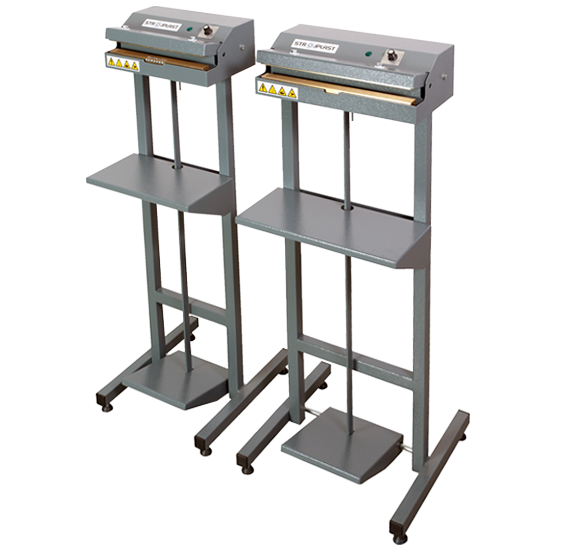 Sealer is ideal also for sitting work places. Conical opening allows easy inserting of the bag from the front or from the sides.